Peter graduated with honours from the University of Western Australia’s medical school in 2002, obtained a Diploma of Child Health at Princess Margaret Hospital in 2005 and completed his radiology training in 2011. He undertook fellowship training in musculoskeletal radiology at Fremantle Hospital (2011), in paediatric radiology at Our Lady’s Children’s Hospital, Crumlin, Dublin, Ireland (2012) and an additional musculoskeletal fellowship focusing on elite sports imaging and intervention at Imaging @ Olympic Park; Melbourne, Victoria (2013). 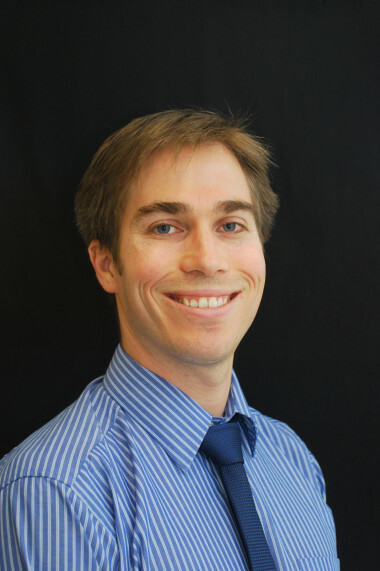 Peter returned to Perth in 2014 and joined Perth Radiological Clinic. In 2018 he became a Partner at Perth Radiological Clinic. He also holds a Consultant Radiology appointment at Perth Children’s Hospital. All aspects of musculoskeletal and paediatric imaging, including MRI. Plexiform neurofibroma causing an ossifying subperiosteal haematoma: a rare case in the tibia of an 11-year-old girl. Lavell A, Jones CW, Wong D, Counsel P, Carey-Smith R. Skeletal Radiol. 2017 Oct;46(10):1405-1413. Normative MRI, ultrasound and muscle functional MRI findings in the forearms of asymptomatic elite rowers. Drew MK, Trease L, Caneiro JP, Hooper I, Ooi CC, Counsel P, Connell DA, Rice AA, Knight E, Hoy G, Lovell G. J Sci Med Sport. 2016 Feb;19(2):103-8. Ultrasound-Guided Radiofrequency Denervation of the Medial Calcaneal Nerve. Counsel PD, Davenport M, Brown A, Ooi CC, Comin J, Marks P, Connell DA. Clin J Sport Med. 2016 Nov;26(6):465-470. Pattern of Fascicular Involvement in Midportion Achilles Tendinopathy at Ultrasound. Counsel P, Comin J, Davenport M, Connell D. Sports Health. 2015 Sep-Oct;7(5):424-8. Prevalence of morphological and mechanical stiffness alterations of mid Achilles tendons in asymptomatic marathon runners before and after a competition. Ooi CC, Schneider ME, Malliaras P, Counsel P, Connell DA. Skeletal Radiol. 2015 Aug;44(8):1119-27. Assessment of Pars Interarticularis Fractures using MRI with a 3D Fat Suppressed T1 Weighted Gradient Echo Sequence Compared to CT (Counsel P, Brown A, Davenport M, Connell D, Marks P) presented at International Skeletal Society (ISS) meeting in Edinburgh, UK, October 2014. Pattern of fascicular involvement in Achilles tendinopathy (Counsel P, Comin J, Lammers G, Davenport M, Connell D) presented at International Skeletal Society (ISS) meeting in Philadelphia, USA, October 2013. Medial calcaneal nerve dysfunction in plantar fasciosis and radiofrequency denervation (Counsel P, Davenport M, Brown A, Comin J, Marks P, Connell D) – presented at AMSIG conference in Sydney, May 2013. Musculoskeletal Infection in Children – Manifestations and Mimics; BSPR (British Society of Paediatric Radiology), 2012. Posterolateral Corner Injuries of the Knee – Anatomy, Biomechanics and Evaluation with MRI; (Guerbet Prize for best registrar exhibit);RANZCR 62nd Annual Scientific Meeting, 2011. Melbourne. Femoroacetabular Impingement – Classification, Imaging Findings and Current Management Options; RANZCR 62nd Annual Scientific Meeting, 2011. Melbourne. Coronal Fractures of the Hamate; RANZCR 61st Annual Scientific Meeting, 2010, Perth.